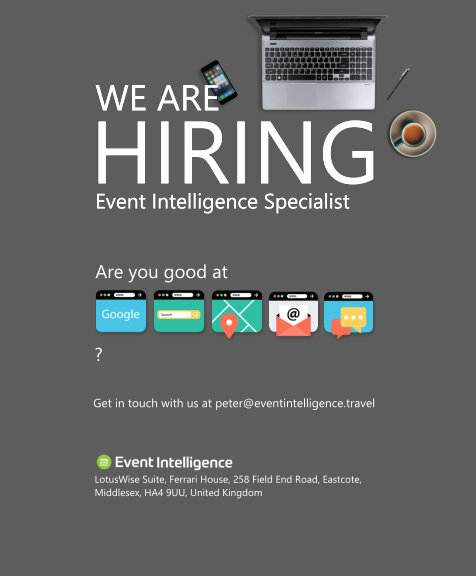 RateMate, a travel tech startup is looking for a Event Intelligence Specialist to start immediately! Who are we: We are on a mission to build a global hotel tech company based in Budapest, focusing on forward looking event data. We already have Clients from Honolulu (U.S.) to Sofia (Bulgaria), from brands like InterContinental, Hilton, Marriott, Hyatt and Kempinski, and we want you to be part of our journey as we continue to grow globally! Who are we looking for: A smart and ambitious team member, who can help us achieve our goals by ensuring that we continuously have by far the best data quality on the market. Our ideal candidate is proactive with a self-starter attitude, has high sense of responsibility and can tolerate monotony. Fluent in English and Hungarian, any other language is a plus. Build and maintain an extensive database of events. Keep in touch with hotels and event organizers. Supporting the Director of Event Data in administrative matters. Once in a lifetime chance to participate in revolutionizing the hotel tech market. The chance to develop and implement your own ideas. A young and fun start-up environment.